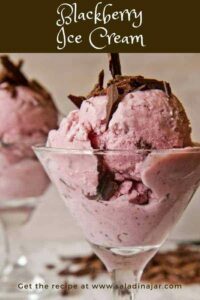 Whether you have fresh blackberries or frozen, this recipe for Blackberry Ice Cream is simple, refreshing, not-too-sweet, and something different from the usual vanilla and chocolate. The chocolate shards are optional but highly recommended. We were enjoying our first successful crop of blackberries earlier this summer when something, somebody, or some animal decided to enjoy them as well. Overnight, whatever it was swooped in and cleaned out our entire crop. The only clues were some berry parts and seeds dropped on top of the pool equipment located next to the blackberry bushes. Makes me think the berry robbers could fly. Anybody else ever had this happen? 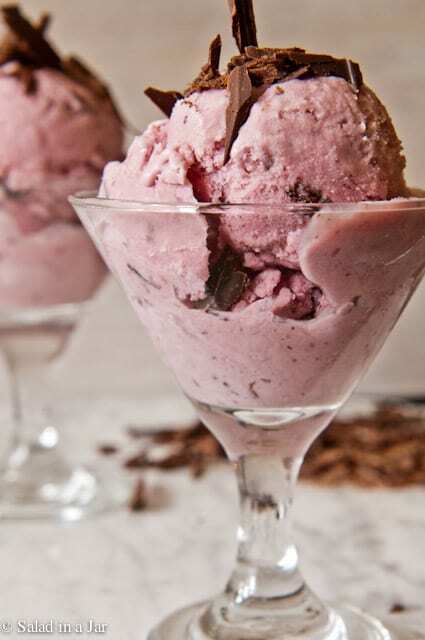 Luckily, I had gathered a pretty big batch of berries only two nights before in anticipation of making this ice cream. How do you feel about fruit and chocolate combinations? As someone who is not normally a fan of fruit/chocolate combinations, I am surprised how well the chocolate pairs with the fresh berry flavor. Your tastebuds will wallow in the initial sweet mellowness of the blackberries and cream. But as the cream disappears, you are left with the not-so-sweet but perfectly compatible flavor of the irregularly shaped bittersweet chocolate shards. Indulge yourself and buy good chocolate for the greatest satisfaction. Are you worried about raw eggs? This is not a cooked or custard-style ice cream which tends to be richer (all those egg yolks) and certainly more labor-intensive. Please note this recipe calls for raw eggs. If you are uncomfortable with the idea or are immune-compromised, look for pasteurized eggs sold in some markets. Seeds ruin the texture for me so I strain them out. I’ll get my fiber somewhere else. 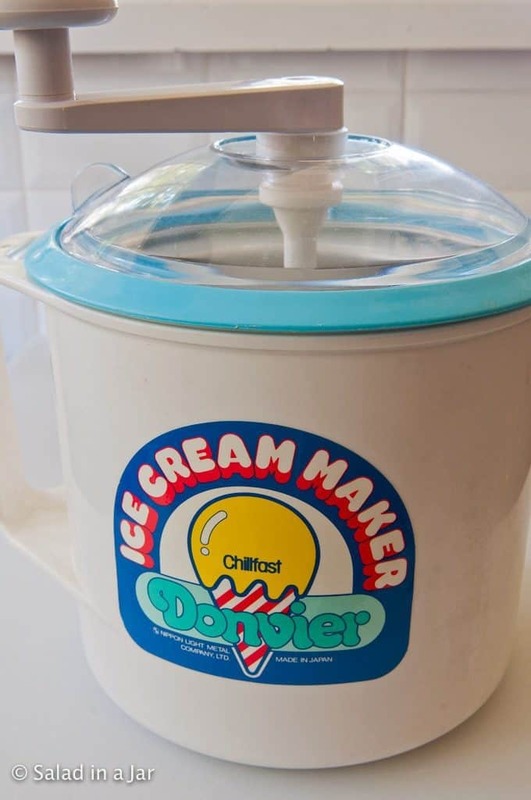 The Donvier Ice Cream Maker is my favorite way to make ice cream. 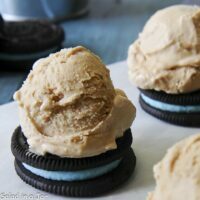 However, this recipe will work with any ice cream maker. Although the pictures show Coffee Ice Cream, the process is the same. 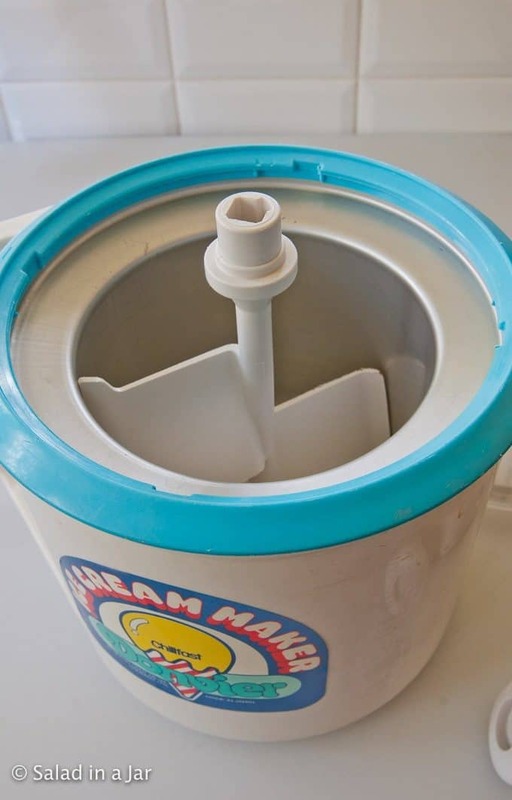 Store the inner liner of your ice cream maker in your freezer all the time or place it in your freezer for a minimum of 12 hours. Put the lid on and turn the paddle (or turn on your machine). Churn until the ice cream is soft-serve consistency. 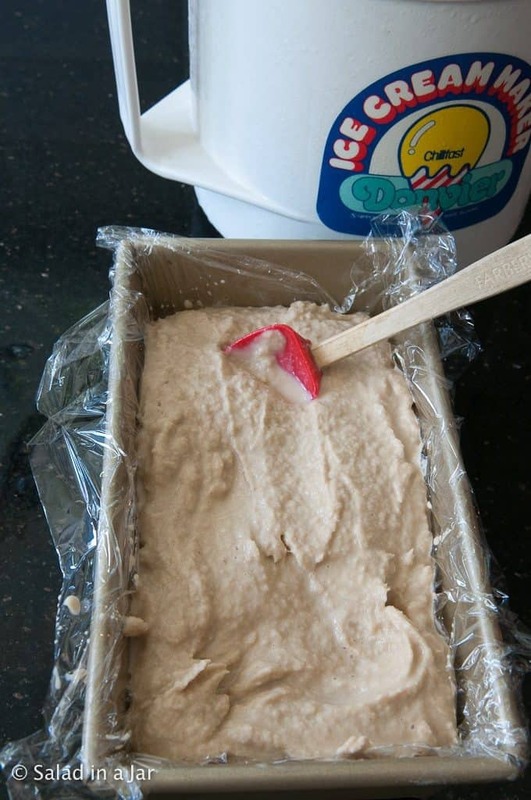 Pour soft ice cream into a chilled loaf pan lined with plastic wrap. Cover with more plastic wrap. I’m not into drinking alcohol (personal preference) but I keep vodka in the house for two reasons. 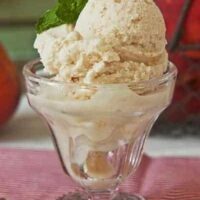 A tablespoon of vodka added to any homemade ice cream keeps it from freezing rock hard without changing the flavor. Consequently, leaving it out is OK, too. No substitute is required. Blackberry Ice Cream with Chocolate Shards is a fruity ice cream studded with bittersweet chocolate pieces. Uncooked for easier assembly and a fresher taste. Put blackberries into a blender or food processor, along with sugar and milk, and blend until smooth. You could also squash berries with a potato masher. Use a spoon or spatula to force mixture through a strainer. 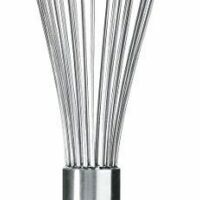 Whisk eggs and salt into berry mixture. Add heavy cream, and continue whisking until smooth. 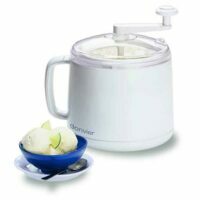 Add vodka and lemon juice just before pouring cold ice cream mixture into your ice cream freezer. Freeze according to manufacturer's instructions. When firm, add chocolate shards to ice cream and stir in by hand. I do this as I pour ice cream into a plastic container to put into the freezer for storage and to finish getting hard before serving. No chocolate in the house? Try crumbled Oreo cookies instead--6 of them is a good place to start. 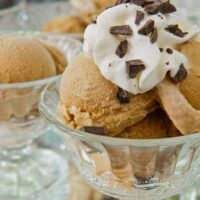 Homemade Coffee Ice Cream is uncooked and flavored with instant espresso. This will make a little more than a quart. Slightly adapted from the Sweet Cream Base recipe published in Ben & Jerry's Homemade Ice Cream & Dessert Book. I’m itching to try this yummy Blackberry Ice Cream but am worried about the raw eggs. 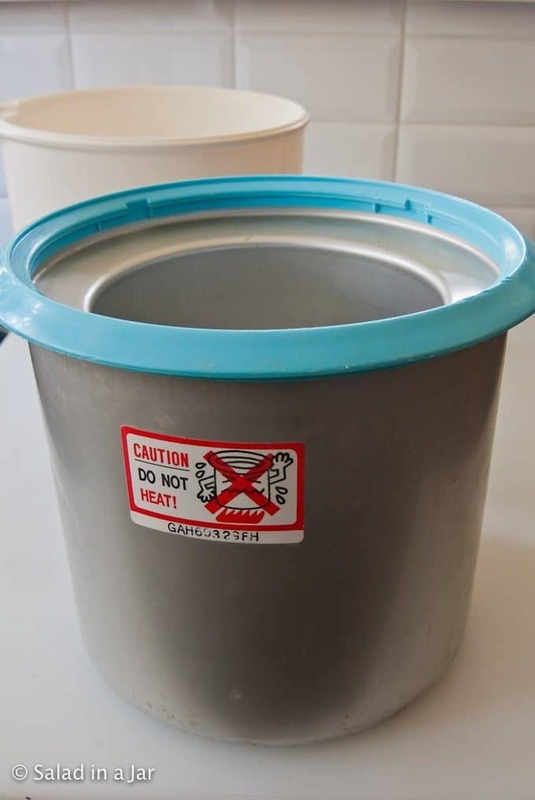 Does the freezing kill potential Salmonella? My immune system is compromised right now and I don’t want to eat raw eggs unless they are cooked, or perhaps frozen if it protects against Salmonella. Advice? BTW, just found your site linked from the Community Boards at KAF. Love it! I will be trying homemade yogurt tomorrow. I have already become a salad jar convert! Thanks for sharing. I don’t recommend this recipe if you have a compromised immune system. Better to find a cooked recipe. Thanks for the terrific and Yummy sounding recipes. Do you have one for a speedy banana pudding in a microwave by any chance? Paul, this ice cream was delicious!!!! I think I ate 4 bowls of it at the ice cream supper. 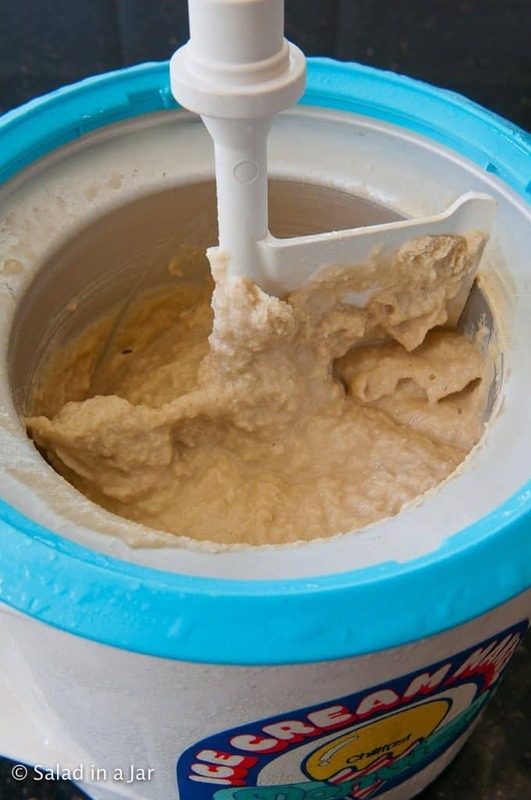 The only reason I stopped… someone scraped the bottom of the ice cream maker clean! I sure hope you make this again!!! Steve, Someday, I’ll make you a whole batch, just for yourself and Joan. I just got an ice cream maker and have already made a whopping 3 batches! The tip about the alcohol is very helpful–so far, we’ve always had to take the ice cream out of the freezer about half an hour before we want to eat it so it can thaw! Ok, Unfortunately I do not have blackberries as they don’t grow well in our area (which is too bad because they are my favorite berry) What we do have is a large raspberry patch in our garden, so I look forward to trying this raspberry-style. Frozen blackberries work just as well. Buts raspberries would be equally delicious. I love that vodka trick too! I tried some nonfat mango yogurt the other day and added vodka to keep it from freezing so solidly… still was a little hard, I might need more! LOL. Blackberries are just ripening in the NOW, so I need to get out there before those pesky bird, and try this recipe. Paula, that ice cream looks fantastic. I don’t know of an ice cream I wouldn’t enjoy but this looks smashing. Just made this and it is by far the best i’ve made. I swirled blackberry jelly through it with the chocolate, oh my goodness. Love your blog! GLad I found it. I am sorry to hear about the berry robber. We know just how you feel, we have a very good peach tree that each year gets robbed by a either a possum or raccoon and it really makes us crazy. We have planted many other trees since that one but not all are mature enough to give fruit. I did however get my first crop of apricots. We live in the country though and we expect to have to share with the wild animals. I understand why people plant tons of fruit bushes or trees it’s so they get some too! Anyway the ice cream look wonderful and I be the chocolate goes quite well. This must be delicous. Everything I have made from you blog has been out of this world. I to do not like chocolate with my fruit. But I trust you. 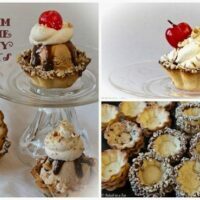 Thanks for a wonderful blog and fantastic recipes. I am making your yogurt today. I made two batches when I visited my Mom in New Mexico. I taught her how to make yogurt and she loved it. She also is making it today. We have been talking on the phone while we were checking temperatures for our ovens. Take care. What fun you must be having with your mom over the phone! I love the tip about adding alcohol to keep ice cream from freezing rock hard. Didn’t know that! This looks fabulous. I’m sure I would love it because, unlike you, I almost always LOVE chocolate and fruit pairings! I think the whole chocolate and fruit thing comes from childhood. I used to get a box of chocolate-covered-cherries every year for Christmas from our bus driver and did not like them. 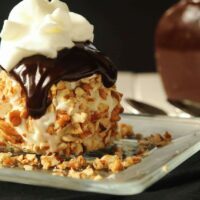 Oh my goodness Paula, this looks amazing. I don’t think I’ve ever tried blackberries and chocolate but it sounds like a winner to me! Love your pictures.